REQUEST INFORMATION - This request form goes directly to the contact below. In case you do not receive a response within 24 hours please feel free to contact Vacaza. We will try to bring you in direct contact with this owner. Submitting this form is NOT a commitment to book or buy a service! I have been a guide in Finland over 29 years! 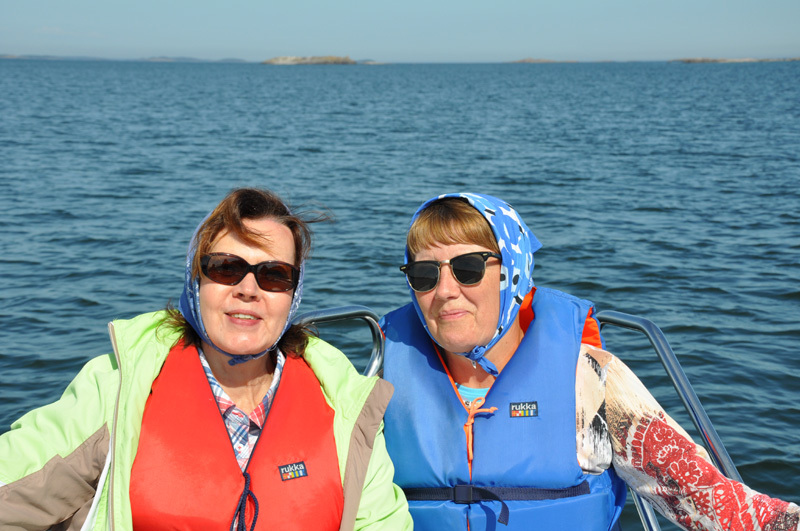 To day I have a boat for tourists to visit our beautiful archipelago with 1300 island in Southern Finland! I make trips by my charter boat, hikings to our beautiful forests, cultural guidings in 500 years old town Tammisaari and in one of the oldiest industrial villages in Finland, Fiskars! History is always present in Raasepori . Matti will take you to the fascinating history of the Fiskars Ironworks or into the romantic atmosphere of wooden house Tammisaari Guide-Matti invites you to experience the exciting tours in Tammisaari wooden house town and to Fiskars Ironworks! The region s distinctive culture with its old wooden house towns, and the earliest industrial history of the region's and its present day opens to the participants told by Guide-Matti. Tammisaari, one of Finland's oldest cities, is also one of the most interesting places in the Western Uusimaa. The old wooden houses tell stories of people use to live, not to mention the artist Helene Schjerfbeck whose life is strongly associated with Tammisaari. The dramatic fire of Tammisaari in 1821 is linked in the history of the church. From the beaches of the city You can feel the presence of the Archipelago and its life and culture during the walking tours. During Your visit in the Fiskars Ironworks, the Finland's oldest company, You will be familiarized in iron making and the refinement of utility objects. The historical setting, the ironworks buildings, people and artisans of the present day, will take you back in time in a unique community. At the end of the round you can shop the boutiques, enjoying a good cup of coffee in one of the cafes in Fiskars, or dine in the oldest operating hotel restaurant. You will be sure to enjoy with me - please contact and come to our original nature - The Natural Park of Tammisaari Archipelago! Ask Matti Piirainen a question.